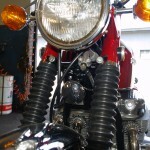 Restored 1969 Honda CB750 Sandcast Motorcycle. New transmission bearings were fitted. New crankshaft main bearings were installed. 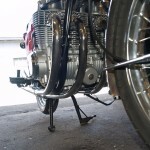 New Honda primary chains were used. A CycleX primary chain tensioner was added. The oil pump was rebuilt. 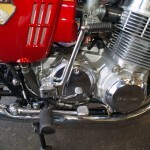 A new Honda cam chain and tensioner assembly was fitted. 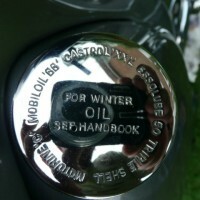 The pistons were cleaned and new rings were fitted. 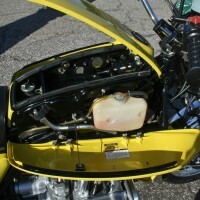 The engine was rebuilt with all new seals and gaskets. New brake shoes and pads were fitted. 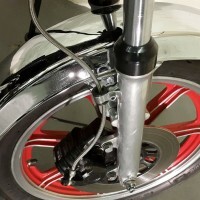 The frame was rebuilt with brass swing arm bushings and tapered steering bearings. All of the black parts were painted with 90-percent gloss, no powder coat was used. 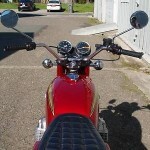 The rear shocks were replaced with new replicas. The bolts were re-plated with clear zinc. New genuine Honda throttle and clutch cables were used. 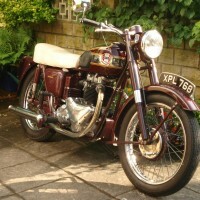 The carburettors were rebuilt and synchronised. 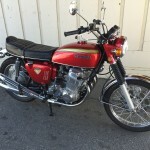 A great restored Honda CB750 Sandcast Motorcycle. 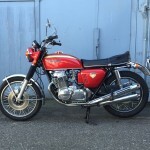 Honda CB750 Sandcast – 1969 For Sale or Wanted? 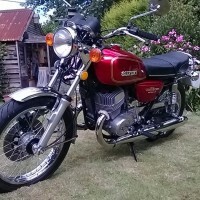 If you're looking for the perfect Honda CB750 Sandcast – 1969 for sale then take a look at the hundreds of restored classic motorcycles listed on our extensive Motorcycles For Sale pages. 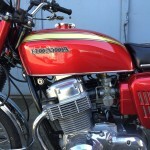 We regularly feature very nice restored Honda CB750 Sandcast – 1969 bikes for sale. 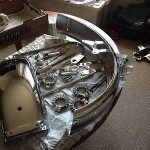 Spares and Parts for your Honda CB750 Sandcast – 1969? 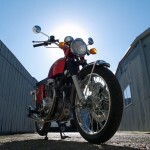 Workshop Manual for your Honda CB750 Sandcast – 1969?